Computer programming is also a rapidly growing occupation. 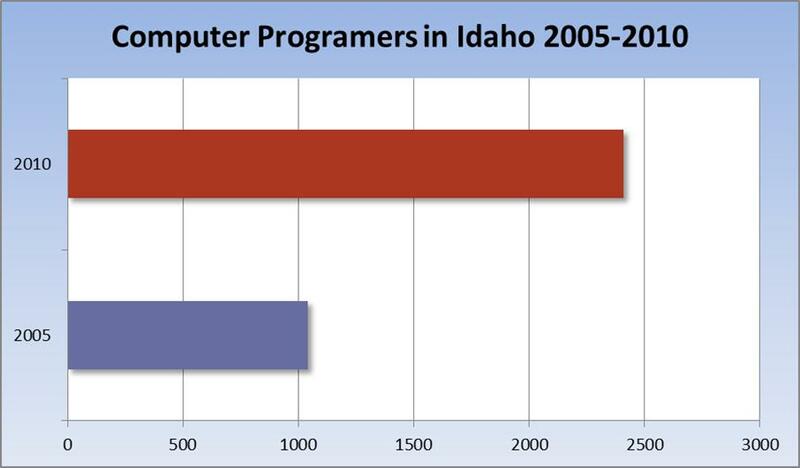 The U.S. Bureau of Labor Statistics estimated there were 1,040 computer programmers in Idaho in 2005. That more than doubled to 2,410 in 2010, a 43.2 per- cent increase. As with computer support specialists, wages for computer programmers also fell during the recession, dropping from $54,630 9in 2005 to $53,020 in 2010. But unlike computer support specialists, a sizable majority of computer programmers have four-year college degrees. That extra training and education, however, does not always mean that a computer programmer can expect to make over $50,000 a year – just over $24 an hour. 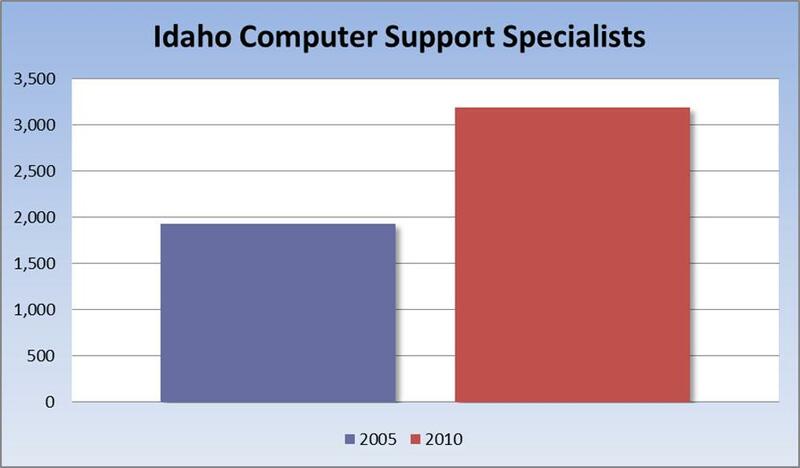 In south central Idaho, according to Economic Modeling Specialists Inc., the average hourly wage for computer programmers was $13.21 in 2011. In southeastern Idaho the average was $15.58. But an affordable high-tech workforce could attract new companies to south central and southeastern Idaho, giving a boost to the regional economies and increasing the competition for available computer programmers and other high-tech workers.